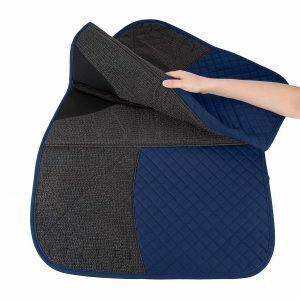 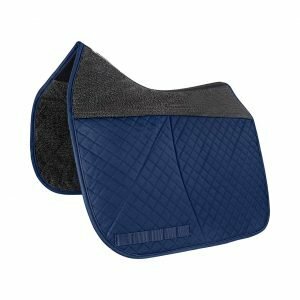 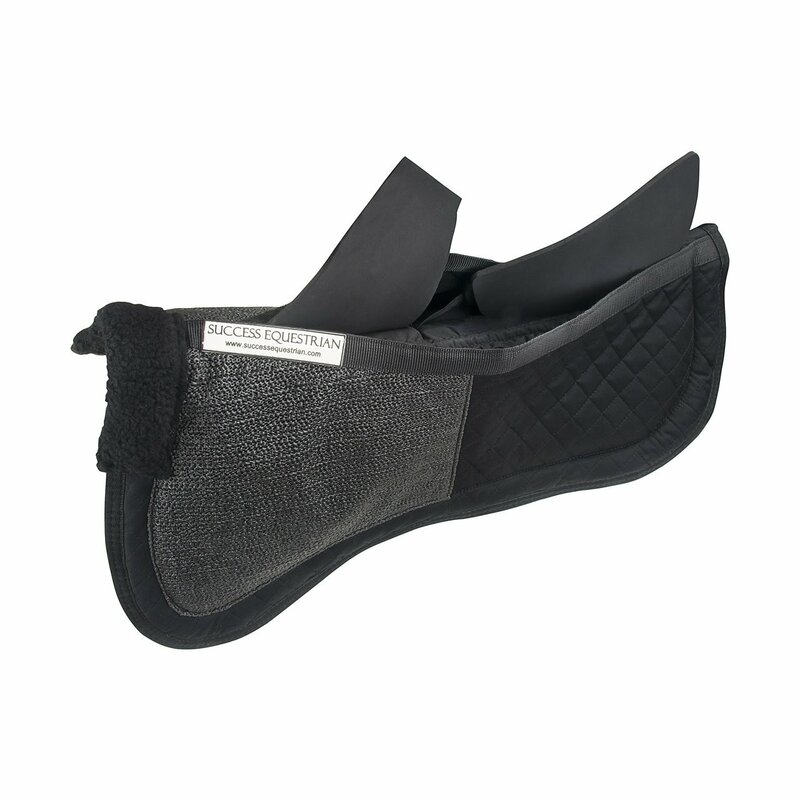 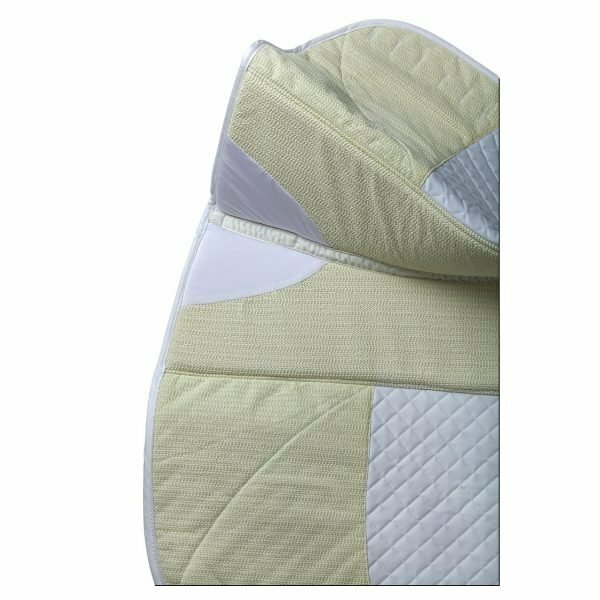 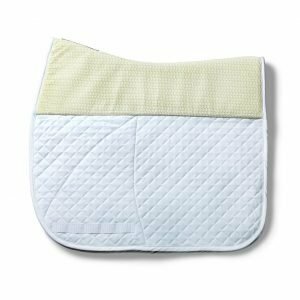 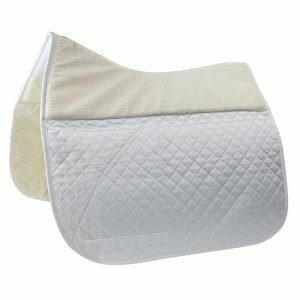 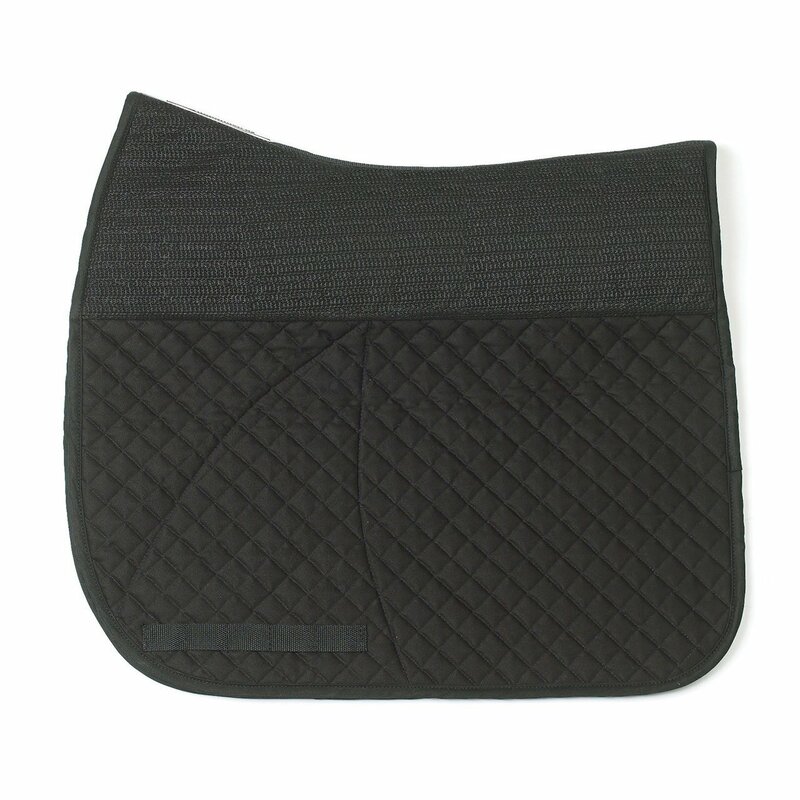 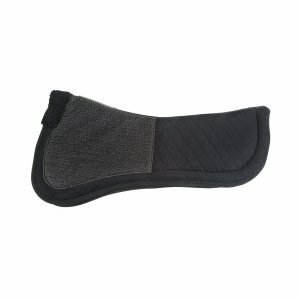 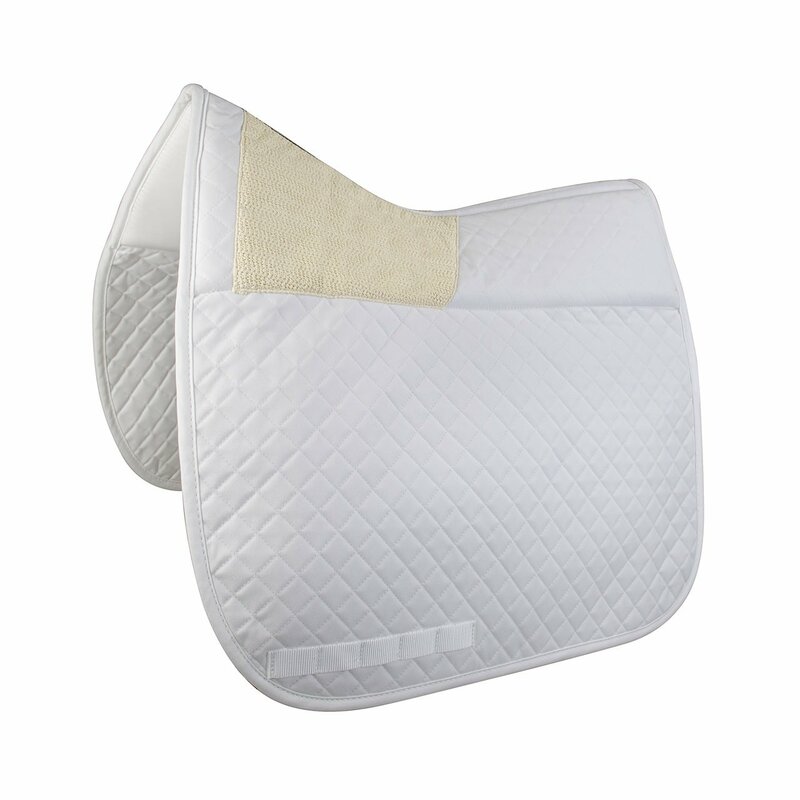 Designed with the air flow grip only where you need it, this new style will help prevent extra sweating under the rear flap of the saddle pad. A soft satin fabric on the wither area is used to ensure comfort. 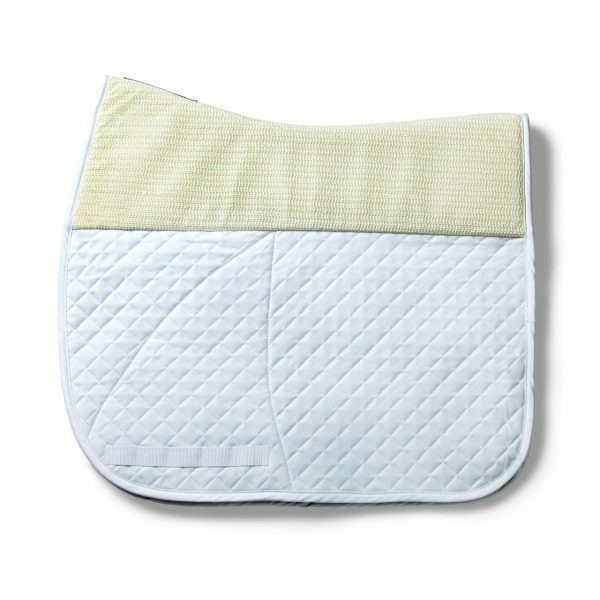 Easy to wash with a non-bleach detergent in warm water. 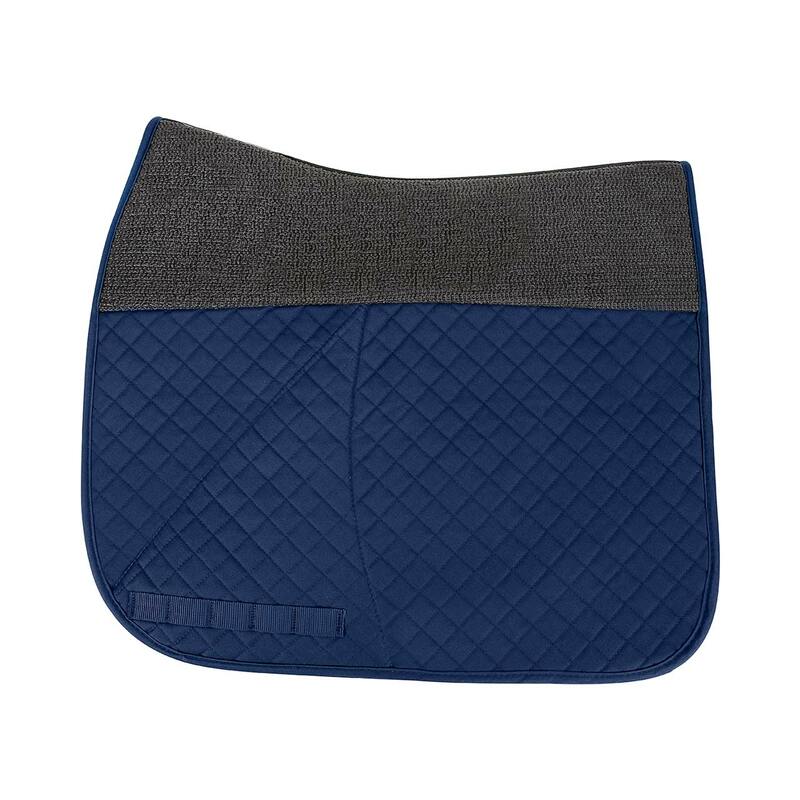 It’s even ok to spot treat. Hang dry. 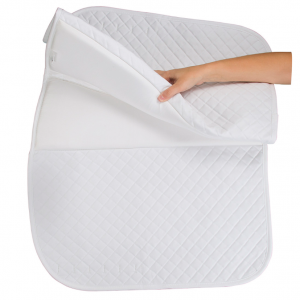 Available at this time in White or Black, sizes Medium (23″x20.5″) and Large (25″x22″).